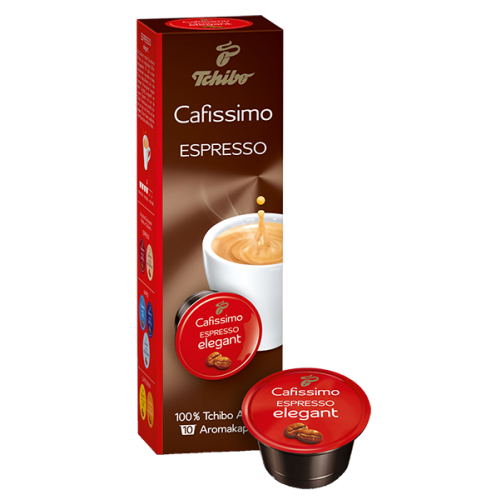 Tchibo Espresso Elegant coffee capsules provides a coffee with the typical northern Italian character. Tchibo Espresso Elegant gives a slightly fruity taste with a touch of chocolate. Thanks to the use of sealed capsules, each cup is of the highest quality with a wonderful aroma.